miStable delivers more than 1 MILLION notifications each month! 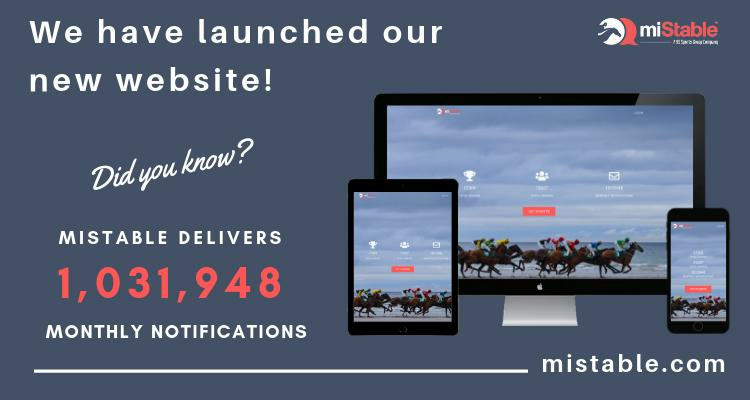 With more than 1,000,000 notifications being delivered to your owners each and every month, it is no wonder miStable is the go to for your owner communications! From owner communications to automatic racing data and websites, the miStable tools will certainly enhance the experience delivered to your owners. Enjoy browsing our new website to see what miStable has to offer and what our clients have to say about how miStable benefits their business!